When you visit most museums, you know the rule is “look but don’t touch” and that you cannot take anything home with you. 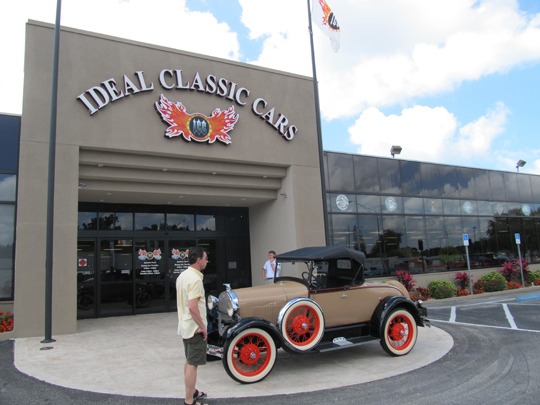 But at the Ideal Classic Cars Museum in Venice, Florida you can actually drive off with a hot rod, street rod, muscle car, or even a one-of-a-kind original. 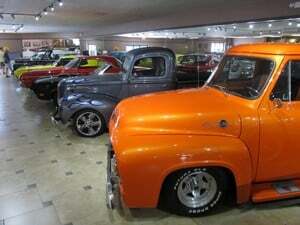 In fact, you’ll find over 100 gorgeous classic cars, trucks and motorcycles on display and they’re all for sale. This FREE museum gets about 200 walk-in visitors per day, so the showroom floor is always changing. 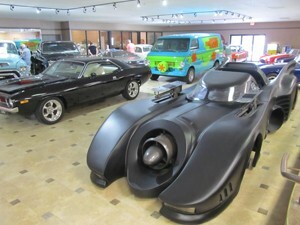 Whether you’re an experienced collector of European models or buying a car you’ve dreamed of since you were 16 years old, you’ll likely find inspiration here. with working machine guns from 1989, or the prehistoric ride from the 2015 Flintstones movie. None of these in your budget? Well, you can at least get your photo taken with your favorites! 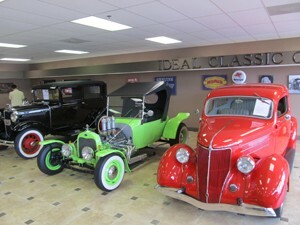 the market right now to buy, sell, trade, or consign, do stop in for a look around. 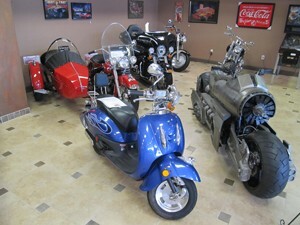 And just for fun, imagine how cool one of these beauties would look towed behind your RV!